Street preachers will be on campus from 11:30 a.m. to 4 p.m. on April 11 and 12 as part of a national conference. These preachers visited UNT last year and were met with anti-hate demonstrations from UNT students. Smatresk also said the Division of Student Affairs will host a safe space from 11 a.m. to 5 p.m. on April 11 and 12 and that staff from the Office of Spiritual Life and other departments will be available to speak with students if needed. 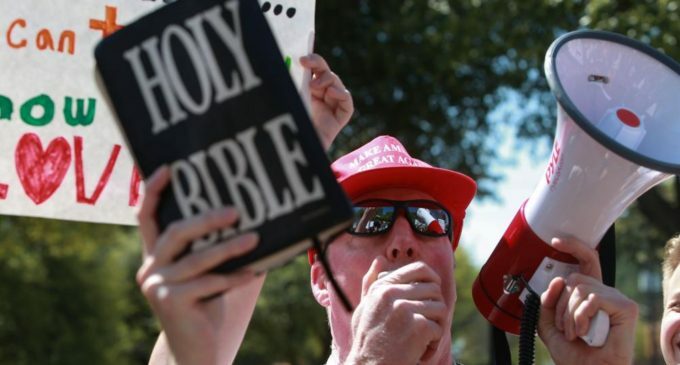 Featured Image: Protesters wave Bibles and attempt to preach to a crowd of counter-protesters at last year’s street preacher convention. File.